VTS has a large range of man & materials hoists for hire and sale. Our equipment is designed specifically for moving people/tools/materials vertically. Our fleet of over 60 hoists includes: man hoists, materials hoists, personal hoists, industrial hoists, core hoists, free standing hoists, and underground construction hoists. A man & materials hoist offers an unobtrusive way to move men and materials with no impact on your internal lift during construction, and if you renovating or don’t have an internal lift, we can easily adapt the hoist to be installed safely on the outside of your building. Our hoists can move your men and materials to exit onto scaffold or directly onto the floor, they can be placed inside/outside/in the basement or even on a podium level. VTS only use rack and pinion drive hoists imported from Asia & Europe that have been designed to comply to Australian Standards, and more importantly have been manufactured under the ISO system and meet CE requirements ensuring the unit is designed safe and made safe. Our in-house engineering team ensure that if you have a difficult job or location we can design a solution to ensure the hoist works for you. 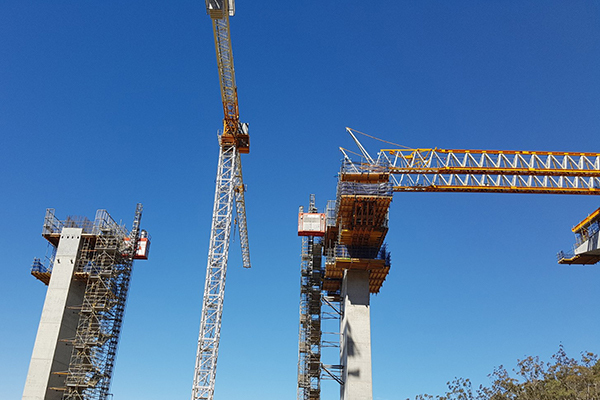 We have provided reliable, efficient and cost-effective hoist hire to some of Australia’s largest commercial, government and infrastructure projects, so if you are looking for a hoist supplier that takes as much pride in your project as you do, don’t hesitate to contact us for a quote.